Landscaping & Spring what a Wonderful Thing! Spring is the time for tree planting and nothing says spring more than a yard full of tree branches heavy with stunning blooms. There are several varieties of breathtaking flowering trees, each with unique flowers and shapes that will brighten any landscape. 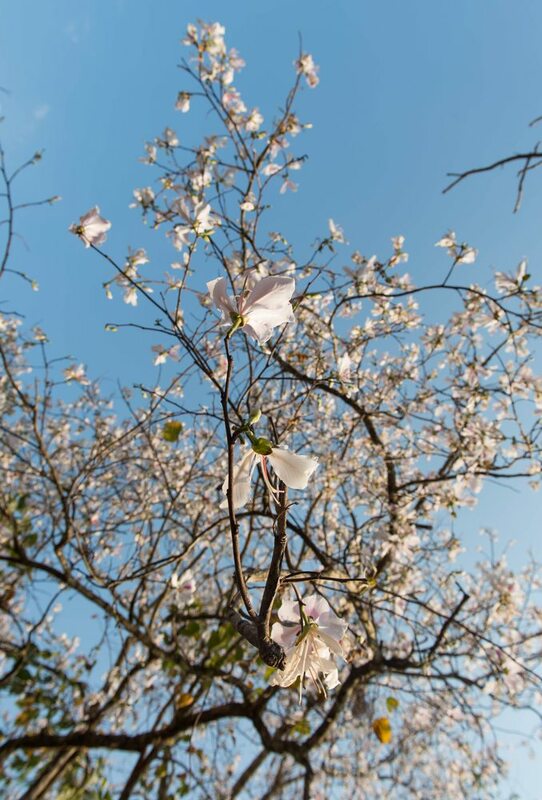 Whether you prefer pink or white blossoms, tall or short heights, spraying or rounded shapes, here is a list of flowering trees that is sure to please. The pink dogwood is absolutely breathtaking when in full bloom. This flowering beauty typically blooms during April and May, boasting flat, pink-petalled blossoms. Oval-shaped dark green leaves abound throughout the summer and turn a stunning reddish-purple hue in autumn. Even the bark on this tree adds to its overall beauty. The grey bark is broken into unique patterns of blocks resembling alligator skin. The pink dogwood is an excellent choice for a variety of landscapes. When fully mature, this tree can reach up to 7.6 metres tall and 7.6 metres wide with a fantastic, well-rounded shape. This tree will flourish in any spot that offers at least four hours of full sun per day. White and red varieties are also beautiful options for most landscapes. The crabapple is an extremely hardy tree that adds incredible beauty to your yard. This tree flourishes in nearly any type of soil and is also disease-resistant. The crabapple adds dazzling, bold color when in full bloom. There are a variety of crabapple trees, each equally stunning. The prairifire crabapple dons spectacular dark pinkish-red flowers in April and May, gorgeous glossy green leaves throughout summer, and delightful bronze leaves in autumn. The snowdrift crabapple is covered in brilliant white blooms during spring and boasts charming orange-red fruit throughout winter which attracts a variety of birds. Both of these varieties grow to a height of 4.5-6 metres and have a full, round shape. The sargent crabapple is slightly smaller than the first two, reaching a height of only 1.8-3 metres at maturity. The shape of the sargent crabapple is also a bit different, with a dense crown and zigzagging branches that create a spraying effect. Most varieties of crabapple trees prefer at least six hours of direct sunlight each day. This drought-resistant tree is a unique choice for your yard. Triangular-shaped leaves are a marvellous, deep reddish-purple colour in early spring before the snowy-white flowers bloom late in the season. These blooms only last about a week before revealing the beautiful green leaves of summer which turn a ravishing shade of orange or scarlet in autumn. Bright red berries grace the branches of the Washington hawthorn in winter and are favourites of many types of birds. The Washington hawthorn prefers full sunlight and reaches a height of 7.6-9 metres with a lovely pyramid shape. The magnolia is perhaps one of the most well-known and popular flowering trees. Most of us have witnessed the simple grace and charming beauty of this lovely tree, and each of the different varieties has unique characteristics that are equally beautiful. The saucer magnolia is stunning with early spring branches heavily laden with incredible, large saucer-shaped pink blooms. The saucer magnolia is usually 6-9 metres tall once mature. The bright white flowers of the star magnolia are a unique shape for a flowering tree and incredibly fragrant. Smooth grey bark and a splendid oval shape make this tree a beautiful addition to the landscape. The star magnolia reaches a mature height of 4.5-6 metres. The largest of the magnolia trees is the beloved southern magnolia. Although its name implies that this tree is best-suited for southern states, it can actually flourish throughout the north as well. This majestic beauty grows up to 24 metres tall and its branches spread nearly 12 metres wide. The creamy white flowers are quite large and have a delightful scent. The southern magnolia blooms in May and June and keeps its glossy green leaves throughout the year. Large fruit attracts a variety of animals including birds, squirrels, and rabbits. The downy serviceberry tree is a fantastic flowering tree that not only boasts beautiful blooms but also edible berries. In early spring, white flowers crowd the branches of the downy serviceberry, set off by the contrasting dark green of its long, oval-shaped leaves. These leaves turn a vivid red color highlighted with golden veins during autumn. The real star of the downy serviceberry are the berries — often referred to as “juneberries.” Serviceberries are delicious, purplish-red berries that can be eaten raw, made into jellies or jams, or baked into pies or muffins. The downy serviceberry reaches a height of 4.5-7.6 metres and has a full, rounded shape. Spring is a great time to beautify your home by adding fantastic flowering trees to your yard. Keep in mind that most of these trees grow at a medium rate of 30-60 centimetres each year and many of them require a sunny spot in your yard. 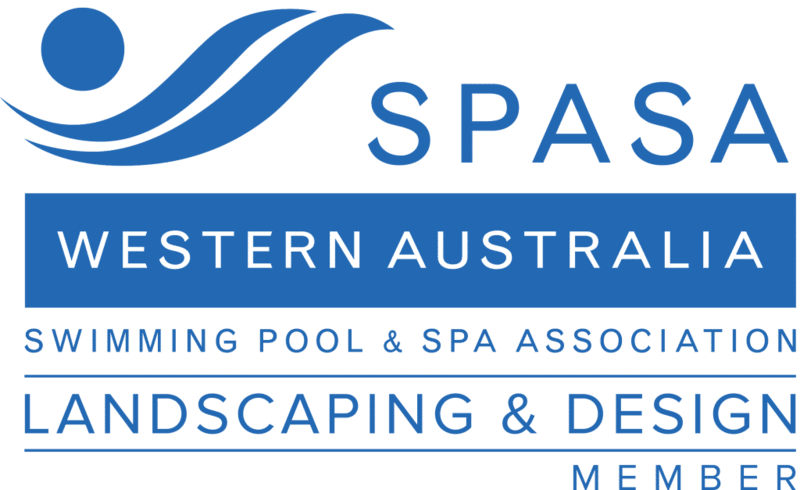 Professional landscapers can help you choose the perfect location for your new trees that will enhance the look of your home and ensure that the trees will flourish for many years to come.